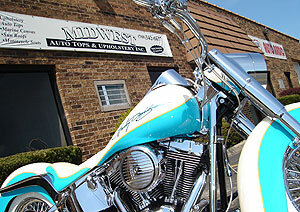 Midwest Auto Tops & Upholstery Inc. provides top-quality upholstery services for cars, boats, and motorcycles. 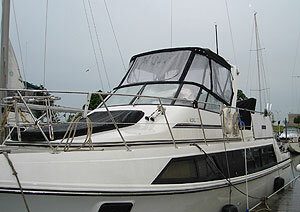 We use materials from top manufacturers in the industry, such as Top Gun™, Sunbrella™ and Strataglass™. The labor-intensive nature of our work required the skills of seasoned professionals, and we guarantee our craftsmanship. Our shop is conveniently located on the eastside of Orland Park. Stop by and check out our wide range of pictures from completed client projects, on display in our shop.